I just finished watching the news report on the weather throughout the country, and am feeling very grateful that we are up here experiencing much cooler temperatures than many other areas. It’s a bit humid, but that’s ok! We had great weather today for our family get together. We spent most of the day outside on the front porch just hanging out and catching up. We had a little unexpected company when a deer decided to stop by for a bite, but all of us coming out on the porch drove him away quickly. We had lots of good food! The fruit basket that we made yesterday looked just as good today. My brother’s sons are getting ready to pass him in the height department. We all had a great time, and the only complaint is that days like this go by way too fast. We’ve had another nice week here in Catskill. I can’t believe how quickly the weeks are going by! We now have six weeks left until the half-marathon. Tomorrow we will be running seven miles on our long run for the week. That will be just over half the distance we will cover at the actual run, so I am feeling a little more confident about the end result. Those miles are starting to add up fast now. Tomorrow will be a busy day, because after we do our seven mile run, we are having a family bbq at my sister’s house. It will be great to see everyone as the last time was at our get-together last November. Here is Hannah practicing her melon ball technique! Oops – hit in the face with cantaloupe juice! Big business going on here! I forgot to get a picture of the finished product but I am sure I will get lots of pictures tomorrow. I will try to remember my camera too – had to put Harry to work with his phone today! Today was another hot day, so Denise and I started out bright and early this morning with our daily training session. Today we had our last walking day – we did 6.5 miles. I am really enjoying the prep for the half marathon, and am starting to feel a little more confident about the end result. We have just under 7 weeks left until the big day. After a nice refreshing shower and a bite to eat for lunch, we headed for Hannah’s last soccer game for the spring season. We were prepared for hanging out in the hot weather! We enjoyed watching Hannah in action. After Hannah’s game, she and her brother came over to the campground to cool down in the pool. And the view from the pool was pretty nice too. Tomorrow looks to be a hot one again, and we may be visiting that pool for another cool-down. Harry and I have been enjoying ourselves, and the beautiful upstate NY weather has been wonderful. We’ve had a couple other days with rain, but not washouts. and yesterday for the second time in a week there was a beautiful rainbow over the campground. A couple days ago, a former coworker of Harry’s invited us to dinner at his home. We had a wonderful dinner and then relaxed on the front porch. My sister and I have been continuing our training for the half-marathon. This past Saturday, we ran 5 miles. And we actually ran the whole thing! This is the first time in my life that I have been able to run more than three quarters of a mile. I always thought I couldn’t run, but now I realize that I just needed to persevere through the training. Today we took a drive down to Kingston. It is nice to have a Camping World so close. We were actually there last week, and bought a replacement X-chock. After getting back home, we discovered that it was defective. So back we went today to exchange it for another. After that errand was accomplished, we headed for what has become one of my favorite places to get fresh fruits and veggies….Adams Fairacre Farms. Lots of good food here! We had fresh green beans tonight for dinner – I think I am getting used to having the fresh stuff!! We have just about finished all of our doctor’s and dentist’s appointments. Good reports all around – even from my trip to the dentist. Tomorrow Harry has his follow-up with the surgeon, and I have one more annual test next month, and then we are done for the year! Top story of the day – it’s raining! Well, it’s probably not the top story – just the most frequent in recent times. On the positive side, we are very thankful that it is rain, and not storms like in some areas of the country. We are also thankful that we are not in a flood zone. Today we went to Albany for a follow up appointment for Harry and everything is great! He is healing well, his blood pressure is normal, and he is now officially off the blood pressure medication that he stopped taking about three weeks ago. This morning we had a little respite from heavy rain, and my sister and I managed to get our run in first thing. I am so excited with how our training is progressing. We ran four miles in 55 min 25 seconds. That was our best time so far. I have never been able to run even a mile, and I feel so great. And we are only on week three! Harry happened to look out the window first thing this morning and ran outside to get this picture…a reminder that the sun will shine again. We have been here a month in Catskill and the time is speeding on by! We are getting acclimated to the area. Even though we have been here many times visiting my sister, we have always mainly traveled via the main roads. Now we are starting to become familiar with all the back roads and shortcuts as well. We have enjoyed more family time, like kindergarten graduation and soccer games. Harry is doing really well. He still has some discomfort, especially if he tries to wear a belt. He can’t do any stretching or lifting yet. But he can already walk more and faster than he has in months. My sister and I are still meeting to do our daily running in preparation for the half marathon in August. We are at 4 miles now, and this Saturday will increase our long run to 5 miles. I’m not a runner yet, but I’m getting there. Life is good here in the Catskills. We are just about a week away from our first six month anniversary of living fulltime in our trailer, and we are lovin’ life! Even now, when we are parked here about 40 minutes from where our house was, we still have such a sense of contentment about our life in our home on wheels. It’s great. And one of my all-time favorite things about this life is still the fact that I get to surf the web looking for cool places to park our home for a period of time. I was working on that very project this morning. We knew that we wanted to head toward the southwest this winter, and originally had planned to go to Arizona. But more recently, we changed our mind about that and decided to check out the gulf coast this winter instead. Our planning is still in preliminary stages, but we’ve penciled in a couple ideas for the months after we finish working the peak season at Amazon. We’re going to see New Orleans for the first time, and explore some other parts of Louisiana. 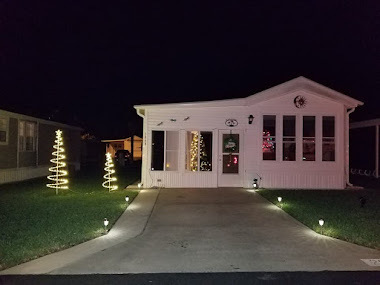 We want to check out eastern Texas, including Corpus Christi…and today I made our first reservations for next year…at Gulf Waters RV Resort in Port Aransas, TX. We plan to stay there for the month of March. After a wonderful summer up here in NY enjoying some quality time with family and friends, we will be excited to get wheels back on the road in September. But in the meantime, I will have lots of fun doing some planning! It’s been 4 days now since Harry’s surgery, and he is feeling pretty good. Yesterday was a tough day due to some side effects from the pain medication he was taking right after surgery, but today he is doing much better. We went for three walks around the campground today, and Harry had only minimal discomfort. Definitely improving. Other than that, it’s been a laid back couple of days. My nephews and niece are in their last week of school. I have been helping my nephew study for his math final which is this Thursday. We are looking forward to a picture perfect week with highs in the 70s and lows in the 50s. Four years ago today, Harry and I were married on a small beach in Key West. This is one of my favorite pictures from that day of us with the members of our family that were able to attend. Our wedding day was so much fun! Today was a lot more low-key. This morning I met my sister for our run – 4 miles today! Our pace today was 13:46. Harry is doing really well. He is able to get in and out of his chair without assistance now, and we went for another walk around the campground. He’s been taking it easy and letting his body heal. We’ll be celebrating our anniversary in a couple weeks when Harry is more up to it!